by a very substantial margin. track, which includes significant elevation changes and lengthy flat-out sections. changeable Nürburgring weather stayed fine, although track temperatures were relatively low. electric motorsport series and TMG will begin commercial sales of this technology in 2012.
gained and our future EV products will benefit from this project." The new lap record was completed on road-legal tyres, using the complete Nordschleife track. It was verified by independent lap timing. 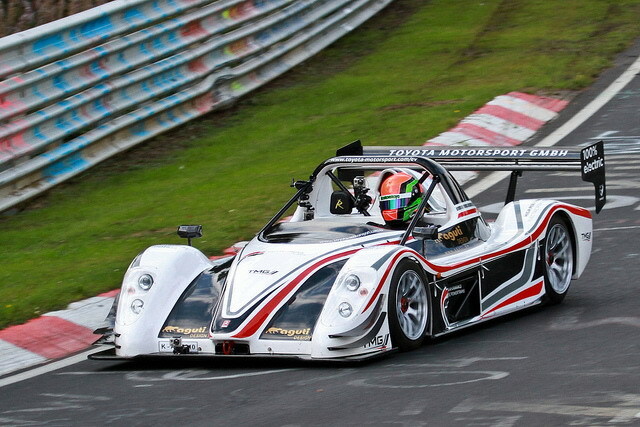 TMG EV P001 is based on a Radical chassis as modified by TMG for e-WOLF.